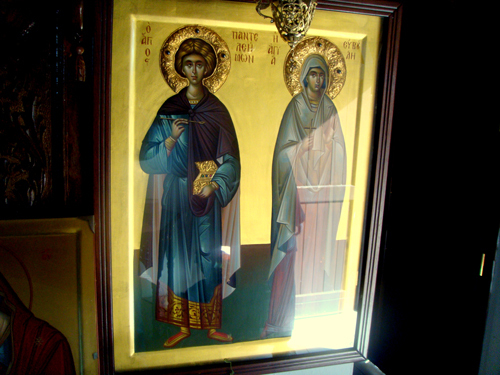 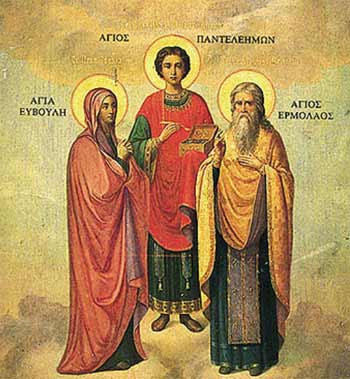 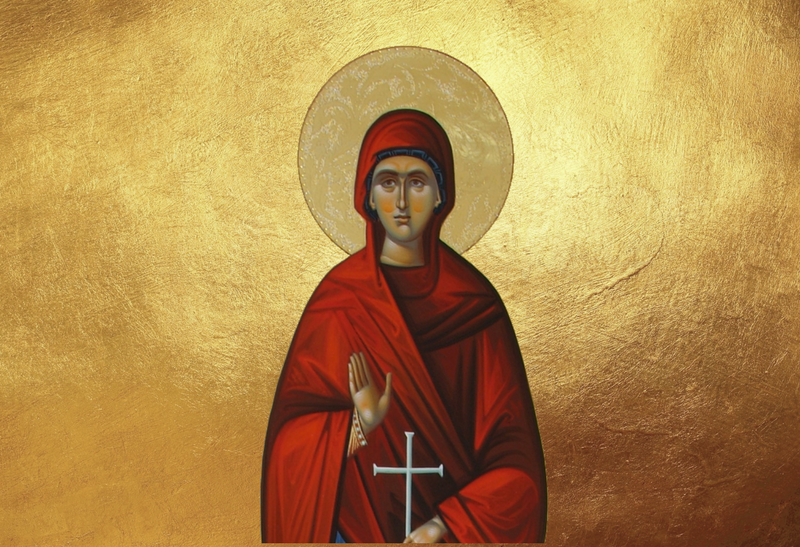 Let us fittingly praise with joyful hymns, holy Euboula, mother of our protector Panteleimon; she has given birth to our defender, the glory of martyrs and unmercenary physicians, and the swift healer of all. Let us all come together today and joyfully celebrate, the mother of our protector, holy Euboula. 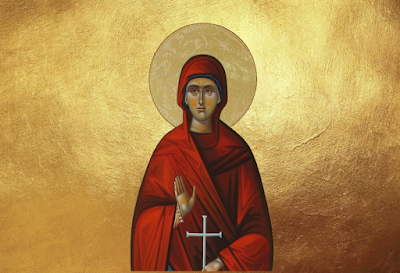 She stands before the throne of God with him, and intercedes unceasingly for us, that we may be granted forgiveness of our sins.